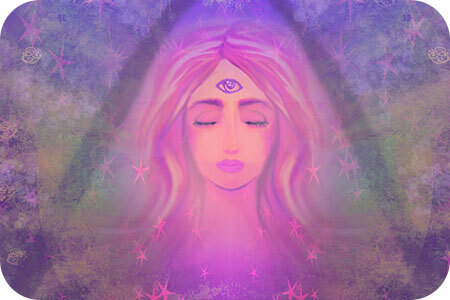 The Third Eye has been known since ancient times to be a gateway to psychic ability. It is known in the psychic field for its role in deep intuition and spiritual clarity. Many experts further associate the pineal gland, a tiny organ in the brain, next to the hypothalamus and the pituitary gland, with the Third Eye. Biologically, this gland serves a number of essential functions, from circadian rhythms to the regulation of hormones. We can maximize this tiny, but critical part of our spiritual being, by ‘opening’ and activating the Third Eye completely. Some experts believe that detoxification, specifically from calcium phosphate, is necessary to awaken its higher functions. Calcium phosphate is a chemical found in many of the foods we eat, as well as associated with fluoride found in drinking water. Over time, as the pineal gland becomes calcified, we lose the ability to see the world as it truly is – unified with the spirit realm. It is the spiritual equivalent of a pair of glasses with scratched or clouded lenses. Eating a nourishing, beneficial assortment of foods, as well as drinking purified water, will help to rid the body of the toxins that has accumulated in the pineal gland and therefore clouds the Third Eye. A variety of organic supplements and essential oils, when added to an improved diet, can also speed the process. Mornings are special. The energy of the morning is different than at any other time of the day. When the sunlight is still fresh and gentle, the world is calm and quiet. There is a magic to this time. The first few moments of our day help to set the tone for our experiences throughout. Becoming aware and attuned to this fresh universal energy can be as simple as creating a small morning routine. 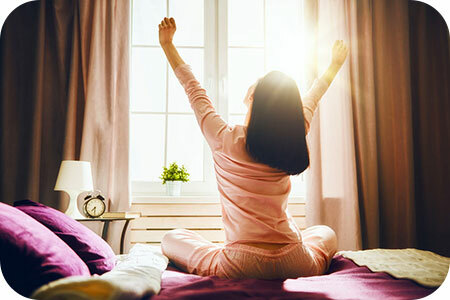 Bringing a bit of mindfulness into your morning can set you up energetically to respond more effectively to your experiences throughout the day. Now, I know that not everyone loves mornings as much as I do. If this is the case for you, the idea of creating a morning routine may not sound appealing at all. Starting with small, quick steps can make all the difference here. Your morning routine is meant to set you up for success. It’s about doing things you like in the morning, that get you in the right frame of mind and heart. Have you ever had a dream so intense that when you wake up you just can’t seem to shake the memory, or the feeling of that dream? Maybe you find yourself coming back to it throughout the day, strangely affected by your nocturnal experience? Perhaps there are images you can’t shake, symbols you feel hold some meaning, but you’re just not sure. And then you ask yourself, what does it all mean? Interpreting your dreams is a very personal experience. 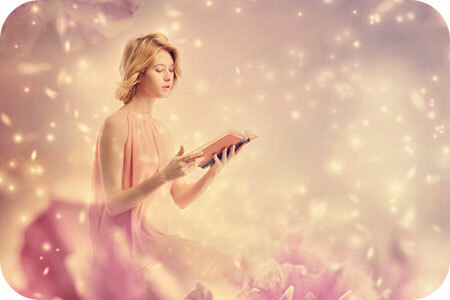 Dreams are a conversation with your subconscious, your higher self, and Spirit. Because of this, Spirit will use symbols, colors, places, people, and so on, that have specific meaning to you. It’s important to interpret your dreams through your own lens. To get you started interpreting your own dreams, and engaging in this conversation with your higher self, consider the following guidelines. Think about all the choices you make every day. Do you cut that person off in traffic? Who do you vote for? Do you stay faithful to your partner or spouse? We all make many decisions every day that affect our lives and the people around us. It is recommended we take time to wrestle with our decisions and make the right decision. When we are grounded and in alignment with our true self, it is not as difficult as it may seem. It is always more difficult when we take the path that the rest of the world seems to preach or dictate. 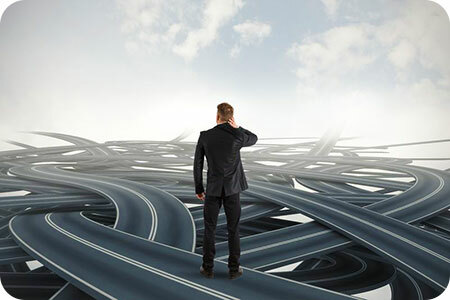 The tendency is to take the easy path; the simple path; the selfish path. And once we do, we then wish we had taken a different path – a path less travelled. Hindsight is too often 20/20. Every month, the Moon waxes and wanes creating different changes and cycles in the world, as well as in our personal lives. Many people are familiar with the monthly full moon as a time of elevated emotions, but there are other phases to be mindful of, since they also affect our energy levels and feelings. During a full moon, for example, you may realize that you have an abundance, or lack of energy. 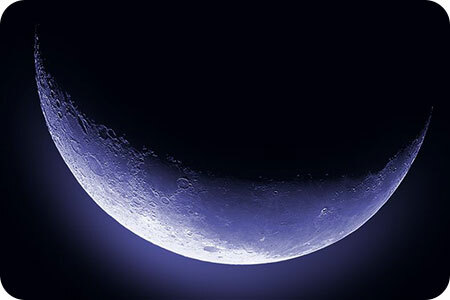 The new moon occurs when it is invisible to the human eye. It is a wonderful time for new beginnings in relationships, business, making positive changes and setting goals. The new moon would be when you add something new, or remove the existing problem to strengthen yourself.